It has been almost two weeks since I filed my clients’ claims for restitution of the Guelph Treasure (Welfenschatz). I filed yesterday a new civil action against the Federal Republic of Germany and the Stiftung Preussischer Kulturbesitz (the SPK, which is responsible the administration of the Berlin museums, among other things) in the United States District Court in Washington, DC. You can read the Complaint here. 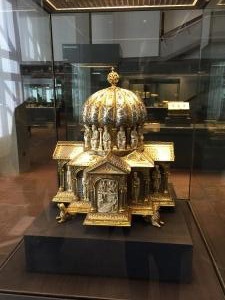 The lawsuit seeks the immediate restitution to my clients of the collection held by the SPK known as the Welfenschatz, or as it is referred to in English, the Guelph Treasure. 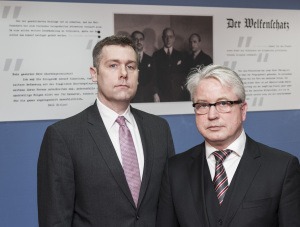 My clients Gerald Stiebel and Alan Phillip are the blood relatives and successors to the consortium of Jewish art dealers who were threatened and forced by the National Socialist government into selling the Welfenschatz in 1935.